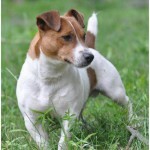 The Jack Russell Terrier is a small-sized terrier dog and is originated in the England. It was used to hunt foxes particularly red-fox. This dog is very popular and was seen in many films and television. 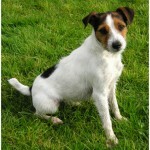 The other names for this dog are JRT, Russell Terrier, Rebel Terrier and Jack. This dog is said to be named after Reverend John Russell (clergyman). The temperament of this dog is said to be intelligent, alert, active, strong and fearless. 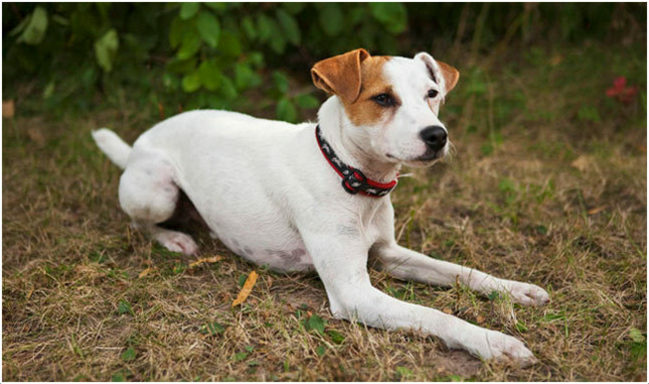 For inexperienced people, this dog may seem stubborn to train and obedience training is required in such cases. 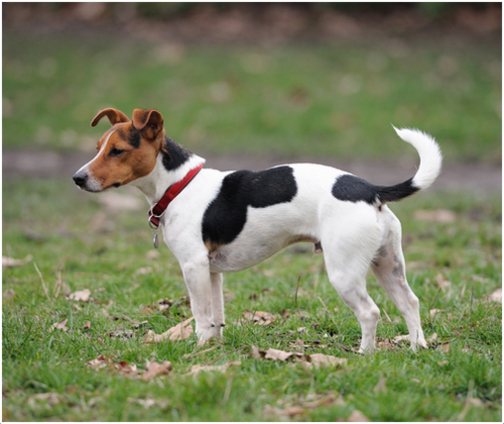 The experienced dog owners can train this dog easily and it becomes obedient soon. It takes so much time to be friends with cats. This dog takes long time to be friends with other dogs. It doesn’t suit well for the apartment living. These dogs are good jumpers and they can jump more than five feet. The price of the dog is around $700 to $1000. 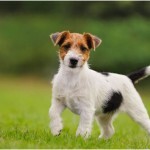 The Jack Russell Terrier is not hypoallergenic. It is said to be the best watchdog and a good companion dog. It also participates actively in various dog sports like agility, fly ball etc. 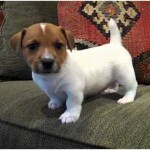 The Jack Russell Terrier is a small-sized dog which is tough and sturdy. The head of the dog is moderate in width and the ears will drop on the head. The eyes are dark and very attentive. The tail of the dog is moderate in length and is set high. Generally, this dog is seen in white colors with black, brown or tan markings. 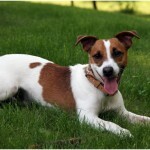 As the dog is of terrier breed, its chest should be narrow and is considered to be the important characteristic. 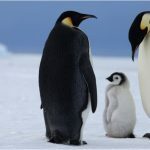 The coat is smooth or rough and sometimes a broken coat (i.e., in between smooth and rough). The hair is longer on the tail or face for broken-coated dogs. 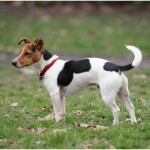 The height of the Jack Russell Terrier is about 10-15 inches (25-38 cm) while it weighs about 14-18 lb (6-8 kg). The Jack Russell Terrier is a working, active, obedient and a loyal dog. 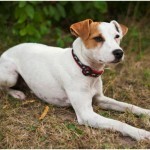 This dog is for experienced owners as it may be stubborn sometimes and hard to train. But once the dog becomes friendly, and then it obeys the commands of the owners and will turn into the most loyal dog. The dog is of full of energy and is said to be the intelligent and fearless dog. These dogs makes themselves busy all the time and they are very lovely and playful. 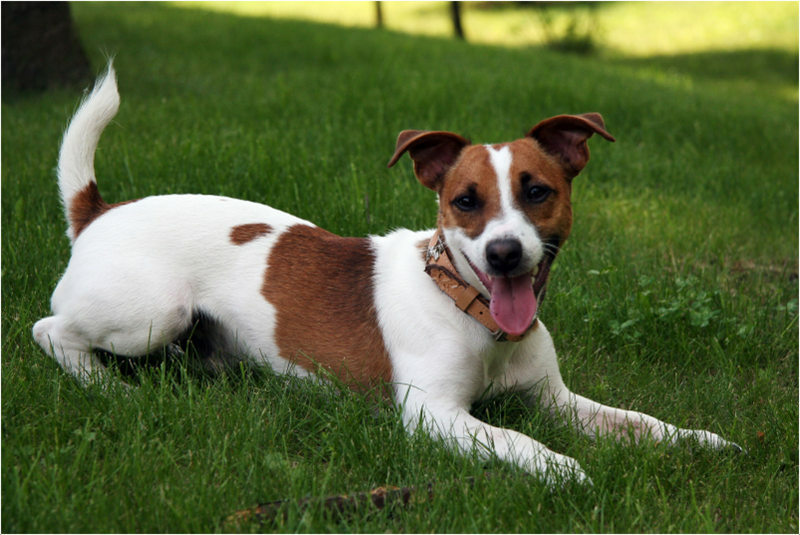 The Jack Russell Terrier dogs are generally healthy and fit, but few times they prone to some health disorders like all other dogs. The most common health disorders seen in this dog are said to be Legg Calve Perthes syndrome, glaucoma, patellar luxation, cataracts, lens luxation (ectopia lentis), ataxia, myasthenia gravis, congenital deafness, and von Willebrand disease. This dog needs a high-quality and healthy food in order to be energetic and fit. Make sure not to over feed the dog and try to follow the food schedule for the dog and feed it as per the schedule. Try to use the clean water for drinking and always keep the environment clean for the dog. 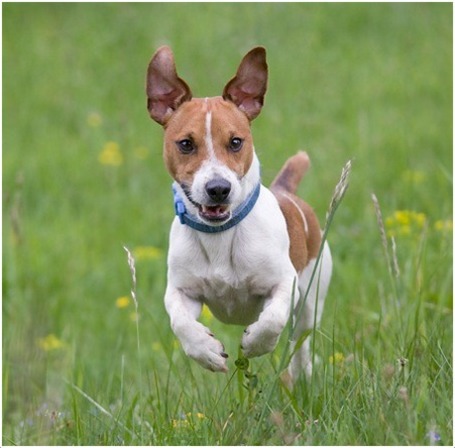 The Jack Russell Terrier is not a very suitable dog for the apartment living until and unless the owner should meet its exercise requirements. 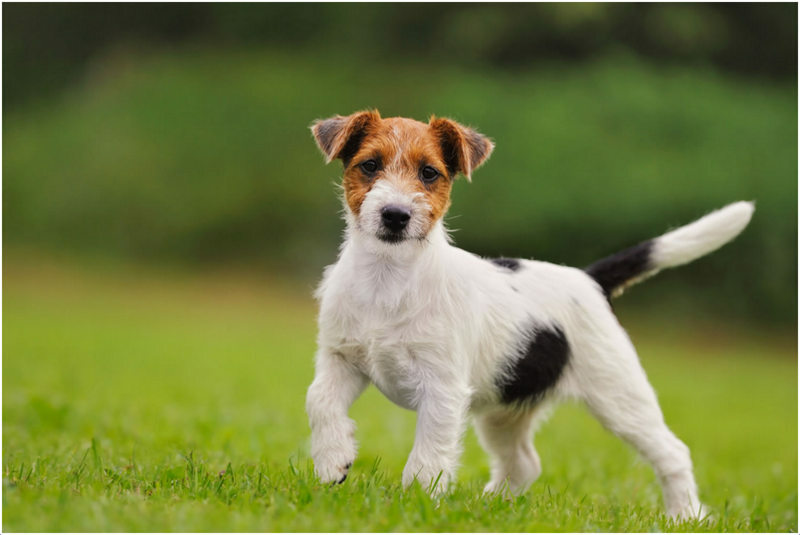 As this is a working terrier type, it needs regular exercise and daily long walks, so if the dog has its daily exercises then it suits for apartment living. A house with a small to medium sized fenced yard will work well for the dog. 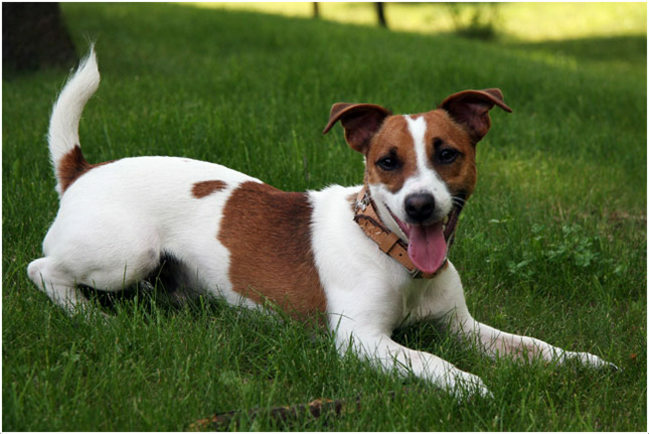 This dog is very energetic all the time and so to keep it the same way, owners should take the dog to daily long walks and give a good exercise daily. It loves to be the good companion of humans only when the owner meets its exercise requirements. 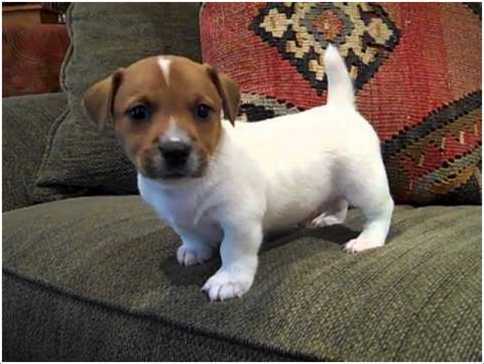 The Jack Russell Terrier dog can give birth to an average of 4 to 8 puppies. Take good care of the puppies and raise them with proper attention and vets consultation is recommended in case of any emergencies. These dogs are brave, intelligent and don’t care for any dangers irrespective of their size. 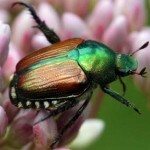 So, owners should take the required precautions to keep it safe from the predators. 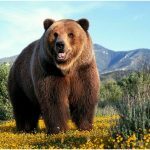 Whenever the dog is on for walks or it is playing in the yard, the owner should supervise the dog and make sure the dog doesn’t grab the attention of other big animals. 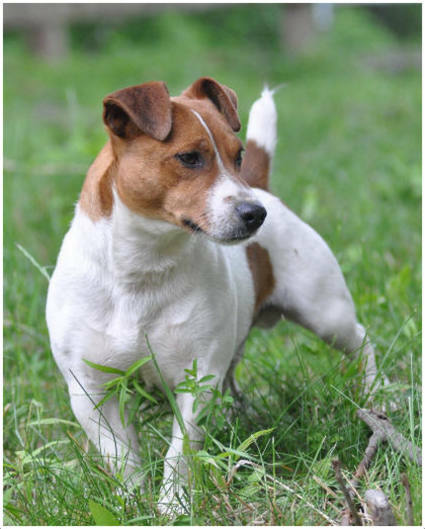 The Jack Russell Terrier should be allowed for breeding upon attaining a proper age and breeding by professional is recommended for this dog. The average lifespan of this dog is said to be 13 to 15 years and by taking good health care these dogs van live up to 16 years happily. 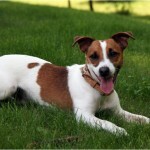 The Jack Russell Terrier dog should be properly brushed every week. 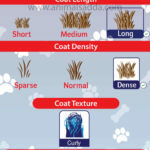 For smooth and broken coated dogs weekly brushing is mandated and few times required hand-stripping, but for rough coated dogs professional hand-stripping is recommended. Also, check and clean the ears regularly in order to keep away any ear infections. This dog is not a heavy shedder as it sheds little and the needs to be regularly groomed to keep it fresh and clean.